SureDone enables enterprises, brands and growing businesses to sell more products on new channels and greatly increase revenue. Our software is a platform. It’s a listing engine, an inventory engine, an order engine, an automation engine and a fulfillment engine. While we layer a user interface on top, you don’t have to. But we realize that software is only part of the equation. That’s why we offer curated strategic and operational services. The result? Growth, expansion and success. Don't take our word for it. Listen to the hundreds of customers whose businesses have been transformed by SureDone's revolutionary platform. Whether it's listing on eBay, eBay Motors, Amazon, Walmart, Jet.com, Etsy, BigCommerce, Magento or other channels, we've got their back. SureDone was the only vendor that could offer a customizable solution to fit our needs. Its feature-rich tool set enables us to feed multiple warehouse locations to our one unified eBay marketplace making SureDone our eCommerce platform of choice. As an enterprise customer, they've lived up to my expectations in every way. SureDone is THE BEST CHOICE for selling on eBay, Amazon, and a custom tailored storefront! I've been with them for nearly 12 months and could not be happier! As an enterprise customer, they've lived up to my expectations in every way. Every company that said they could integrate with eBay always had huge holes in the program that we would have to go back and fill in. I have tried demo accounts with Bigcommerce, Magento, ChannelAdvisor, Auctiva and ProStores. At the time not one of them could import all the information from our listings, and not one would have helped me integrate my template. We were using BlackThorne but it was unreliable, always crashing and slow. Looked at ChannelAdvisor and decided to go with Vendio but left because they made a lot of promises, never came through, and couldn't handle our inventory. SureDone is very fast, gives us 1 on 1 attention and made it easy to import from BlackThorne. We distribute and sell over 31,000 different items. Wizard Of Math has been a featured merchant on Amazon.com for over 10+ years. We distribute and sell over 31,000 different items. Accurate inventory updates and order management are two of the most critical elements needed for our success. 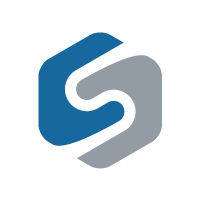 Suredone was able to quickly integrate with our warehouse and provide the technical software expertise necessary, so we can focus on other aspects of our business. We are software. We improve operational efficiency. We are services. We help you grow and expand. How do I manage our listings, inventory and orders? Managing a single marketplace, let alone multiple marketplaces, can be complex. And to add to the complications, marketplaces don’t directly integrate with ERP, POS and other systems. How do I build an infrastructure to support B2C? Unless you’re currently doing business to consumer sales - handling orders, shipping and returns and customer support for small batch orders may not align with your current infrastructure. How do I promote and expand our brand? Not unsettling current retailers while ensuring that your investment into marketplaces is maximized is a difficult balance. What opportunities do you have to promote growth and drive additional revenue and profitability? We have the features needed for large enterprises or brands, and the services to complement B2C capabilities, while also being great for growing businesses. Our entire user interface is built on top of our open API. Anything you can do in the UI, you can do programatically. Easily integrate with an ERP, CRM or POS system. Highly scalable, highly resilient, highly secure and built on top of AWS. Our system can handle millions of SKUs with constant updates. From listing management, to first line customer service, to warehouse logistics, to creative services and more - we can make B2C happen. Just like you're looking for the right solution, we're looking for the right customers. Are you driven to succeed? We support most verticals, but we've built in significant support for listing and managing automotive and motorsports parts and accessory products. Search, assign and list your parts to eBay Motors (and Amazon soon) with fitment for multiple countries to make your parts findable in structured searches. From automated inventory imports from numerous distributors, the ability to add custom automations, to kits and bundles - we have the features you need. We're one of only two multichannel e-commerce platforms integrated with DCI, connecting their catalog of over a million parts to easily list to multiple channels. SureDone's flexibility is one of its greatest strengths. We serve an extremely diverse set of retailers, and have helped to grow businesses in industries ranging from designer apparel to industrial machines. Create and manage listings on multiple channels from a single dashboard. Fully customizable, SEO-friendly webstore, complete with secure payment methods. Upload, edit or list up to 150,000 products & images at once with our bulk toolset. Load Vendor catalogs, process orders or manage 3PL with our "plug-in architecture"
Over the past two years the SureDone platform has posted millions of listings and processed hundreds of millions of dollars of GMV (Gross Merchandise Value). Send us your contact information and we'll get in touch to discuss if SureDone is right for you.